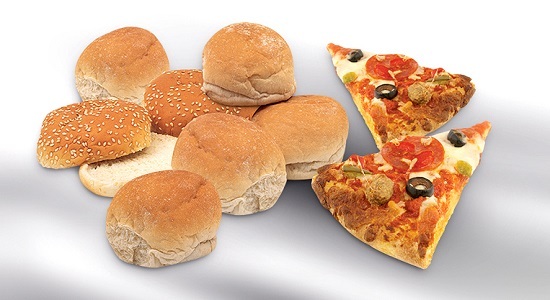 While most usually associated with high-speed, high-energy mixing in plant-scale tin bread bakeries, several integral features make the Tweedy™ process ideal for many other products, including pizza, baguette, focaccia, ciabatta, batter, rye, soda, pita and artisan breads, brioche, breadcrumbs and Panko, bagels, cinnamon rolls and burger buns. Short mixing cycles are a decisive advantage. Automated ingredient feeds minimise dead-time, while the design of the bowl and beater - plus the speed of rotation - combine to produce a 3D mixing action that stretches and shears more of the dough for more of the time. The result is rapid structural development, allowing up to 12 batches every hour. The process is the same as in conventional mixers – just much quicker. Pressure/vacuum mixing controlling the dough texture is another fundamental reason. Applying pressure at the start of mixing helps development by trapping more air in the dough. Applying vacuum towards the end of the cycle controls the size of the bubbles and refines the crumb structure. The proportion of pressure and vacuum applied determines whether the dough texture is fine – for bagels, for example; or open – such as baguettes. And because these proportions are simply altered, it’s easy to switch to a different product - say between an open textured deep pan pizza and a denser crispy pizza base. 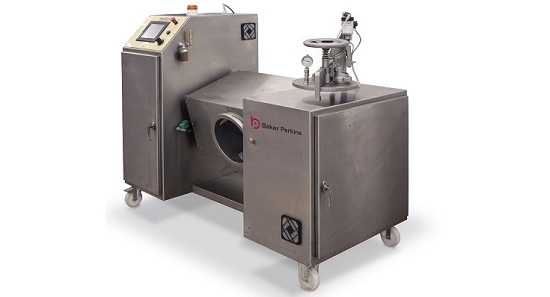 Rapid product changeover is a benefit to every baker, particularly where a variety of products are needed each day. A time-saving automatic washout system developed for the mixing bowl gives a really effective cleaning action and eliminates operator involvement. 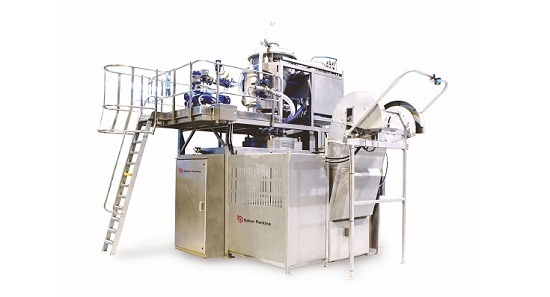 This rapid, thorough and fully automatic cleaning cycle means that the Tweedy™ minimises downtime when making products where cross-contamination could cause quality or food safety problems - for example when mixing coloured breadcrumb coatings for fish and meat or products that contain allergens such as nuts, eggs or dairy. The range of Tweedy™ mixers covers the industry from small through medium to large scale plant bakeries. They all combine consistently high quality with hygiene, automatic control, efficient operation and low production costs. Tweedy™ mixers, plus proving and baking facilities, are installed at Baker Perkins’ Innovation Centre in Peterborough. 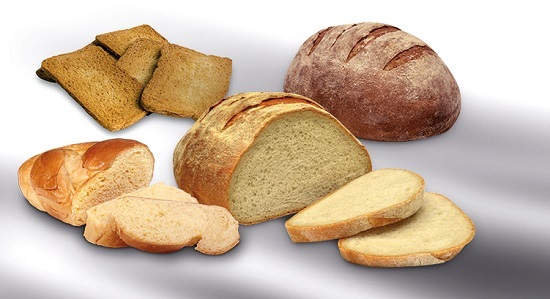 Customers can bring their own ingredients to try out any kind of bread recipe. As a result of these trials, we’re continually finding that the scope of use for the Tweedy™ mixer is still being extended to this day.